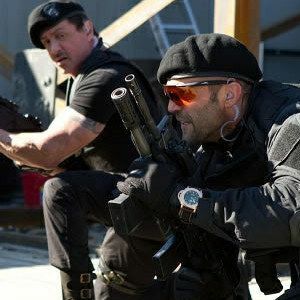 Lionsgate has released the third clip from The Expendables 2, director Simon West's upcoming action sequel. Sylvester Stallone returns as Barney Ross, along with his team of mercenaries who are out for revenge on their latest mission. This scene features Barney taking a page out of Bruce Willis' Live Free or Die Hard, by eliminating a helicopter with a motorcycle, and Terry Crews using a water tower to get rid of more soldiers. Check out the resourceful Expendables in action with this latest video!